Volunteering is awesome. You meet many people from different backgrounds. You enlarge your circle, and explore what you love as well. It is perfect to gain soft skills, and management skills. On the top of that, it might help your professional network growing, especially if you chose to volunteer in the same industry than the job you are targeting. So choose your volunteering according to what you love, what you’d love to bring to other human being, and what it will bring you in return. Don’t forget that many charities require people with different background and skills. A friend of mine was a brilliant psychologist, but he didn’t have much experience. He volunteered at the Red Cross, to take call of people who wanted to talk anonymously. It helped him to build up his experience helping people with all sort of issues. 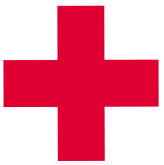 He enlarged his network through the Red Cross and hospitals that worked close with it. In the end, he found a job as a psychologist in a nearby hospital because of this. Mention your volunteer work in your CV. During the job interview, you can put it forward and explain how it can benefit the potential employer. However, be clear that there is a boundary between volunteering and your job. Be clear that you will always put your job first, as a TOP priority. Even if that implies you leave part or all your volunteering activity. What would be the two charities that would the best suit that ? What are the steps to join these charities ? Have you (or a friend) ever been part of a charity ? If yes, what hard skills and soft skills have you gained ?